Ever wonder what you would need to do when your aircon breaks down. When you live in a country like Singapore, air conditioning is extremely important. The humid weather increases the need for air conditioning. 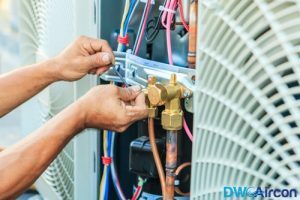 When something goes wrong, the air conditioner repair company may take some time to reach your home. In such situations, what should you do? The moment your air conditioner stops functioning, you may want to inspect the circuit breaker first. The demand for energy has increased drastically in Singapore. This is a major reason behind unexpected blackouts. 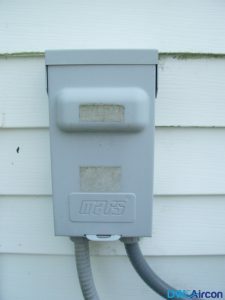 Even if there is power elsewhere, you must inspect the air conditioner’s circuit breaker to see if there’s any switch that flipped. Sophisticated systems like the air conditioner have inbuilt circuit breakers. These breakers can blow up at unexpected times. Most air conditioner repair companies start by inspecting the circuit breaker. Do you know that inexperience DIY efforts can increase the workload on aircon contractors Singapore? Air conditioners are complicated devices. 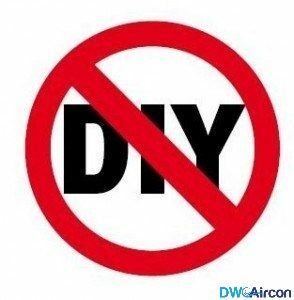 You must not perform any DIY changes to the system. Small DIY efforts can make the situation much more complicated. In fact, DIY on Air conditioners is dangerous. Air conditioner repair companies are professionally trained to repair and replace the systems. Most homeowners are tempted to fix air conditioners by following online guides and tutorials. This may be a dangerous move. A small mistake can damage the system to a worse condition. Amateur DIY efforts can result in fatal injuries too. Such injuries and damages will cost you much more than the initial damage. If your air conditioner is not functioning properly, you must be prepared to face the current situation. Even if your home is absolutely warm, you must think with a clear head. Air conditioner companies are likely to charge more during emergency calls. If you hire the company outside conventional operation hours, you must pay a bigger fee. If possible, delay the call till normal business hours. Of course, hiring the Aircon repair Singapore Company can save you from a hot day. But, there is no harm in delaying and saving some extra bucks. With a calm mind, look for a reliable and trust aircon contractor to help with your aircon repairs. Always check for their experience and whether if the aircon specialist sent is known for his works. Check for their credentials online before engaging them. Aircon repair in Singapore are wide and many, but where do you look for the best aircon contractors in Singapore? Look no further as at Dw Aircon Servicing, our aircon specialist are rich in experience and certified to handle all you aircon repairs and other aircon needs. Call us at +65 6653 29 88 or email us at enquiry@dwaircon.com for a free consultation today.